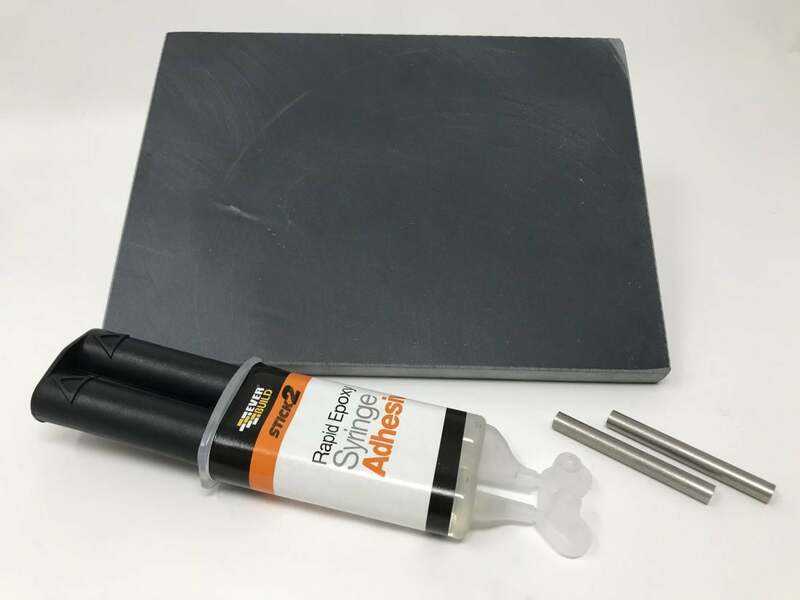 We now offer Hidden Fixings as an option for our deep engraved slate house signs , in your pack you will receive enough stainless steel pins and epoxy resin to securely fix your sign to a suitable surface. We use a high quality epoxy resin that is very easy to use with no mixing required. Each sign will be pre drilled at the back of the slate and fixing is simple. Using the epoxy resin plunger put enough resin into the holes , then add the metal pins , once resin is dry hold the sign up to the wall and using a marker pen mark the wall were the pins touch making sure that the sign is level. Then using the correct drill piece drill into the wall. Once drilled fill the holes with the epoxy resin and push your sign into the wall , and thats the job complete.